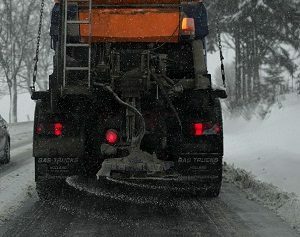 Nick McWilliams reporting – Following a winter that allowed for less salt usage, the city of Dover is attempting to find the right amount of salt for the next cold season. The proposed contract will see an order of 1,500 tons placed with the Ohio Department of Transportation, which is a decrease from last year’s total. Service Director Dave Douglas says prices ran exponentially higher this year, setting up a much more reserved approach to purchasing next season’s salt. The contract must be submitted by April 19th to ODOT in order to participate in a program where Dover and other Tuscarawas County communities can bid together on the mineral needed to keep roadways safe. While there is no concrete way to determine next year’s pricing or how much will be needed, Douglas says he feels the city should be in a good place when snow begins to fall regularly again in 2019. The proposed contract will run through September of this year into April of 2020.